Your goals matter. Weight loss, tone up, add muscle, regain health, becoming the best you ever, excel in your sport of choice. With new expanded program offerings, we’ve got ya covered! 20 years Cross Country Ski Coach, POSE Method of Running level 3, CrossFit level 1 & 2, CrossFit Endurance Running Certification Coaching Staff, CrossFit Endurance Swim, CrossFit Kettlebell, NASM, CrossFit Nutrition. 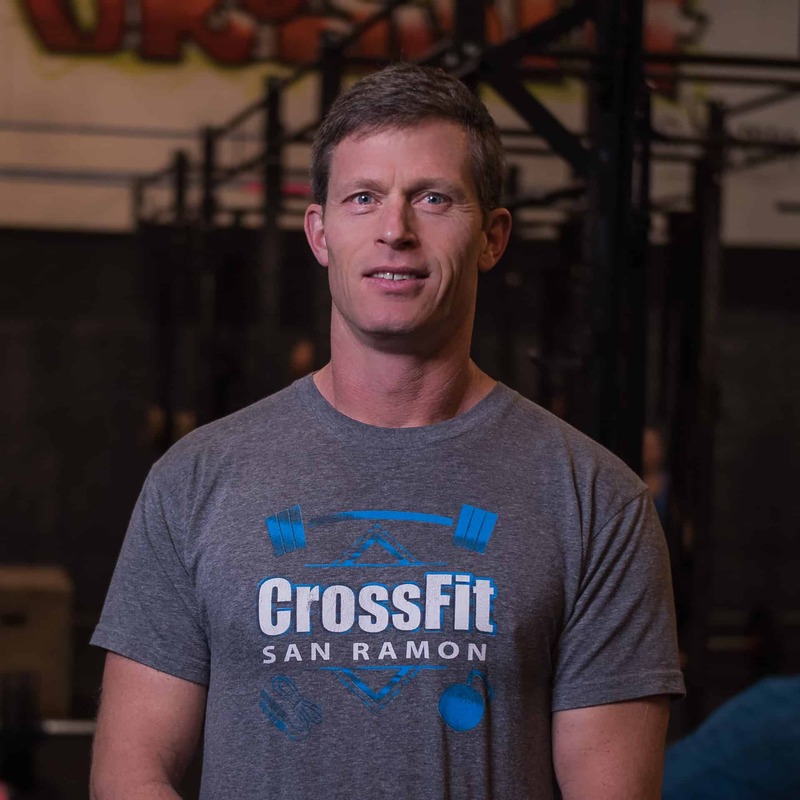 Owner of CrossFit San Ramon, Owned Contra Costa Boot Camp 5 yrs, Personal training experience at small gym and a chiropractic office where I focused on post rehab training. Have worked extensively with many types of injuries from spinal fusion to plantar fasciitis. Focusing on improving movement to remove the causative stresses. CrossFit Level 1, USAW Level 1, Gymnastics. 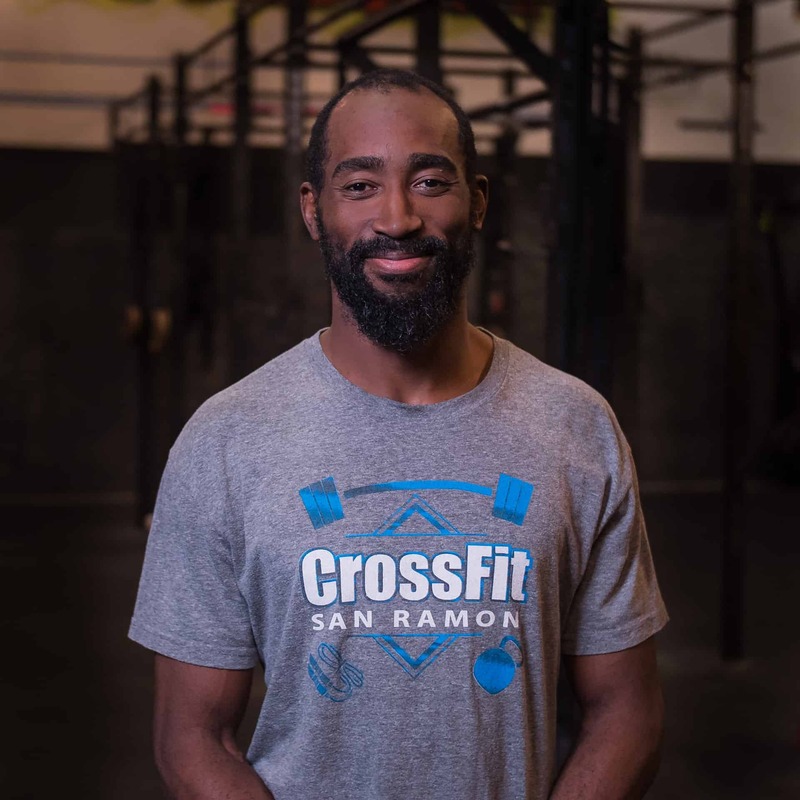 Ed is a bay area native that has been involved in fitness, sports, and movement since high school. He has traveled to many different places and worked with many different styles of movement coaches. Ed’s background mostly comes from his experience as a dancer and as a gymnastics coach. Ed worked as a coach and program manager at AcroSports in the Off-Site and Outreach program where he teaches tumbling, gymnastics and Breakdancing in communities all over San Francisco through AcroSports’ Mobile Acrobat Training. Recently, he has found CrossFit through Carl Paoli. 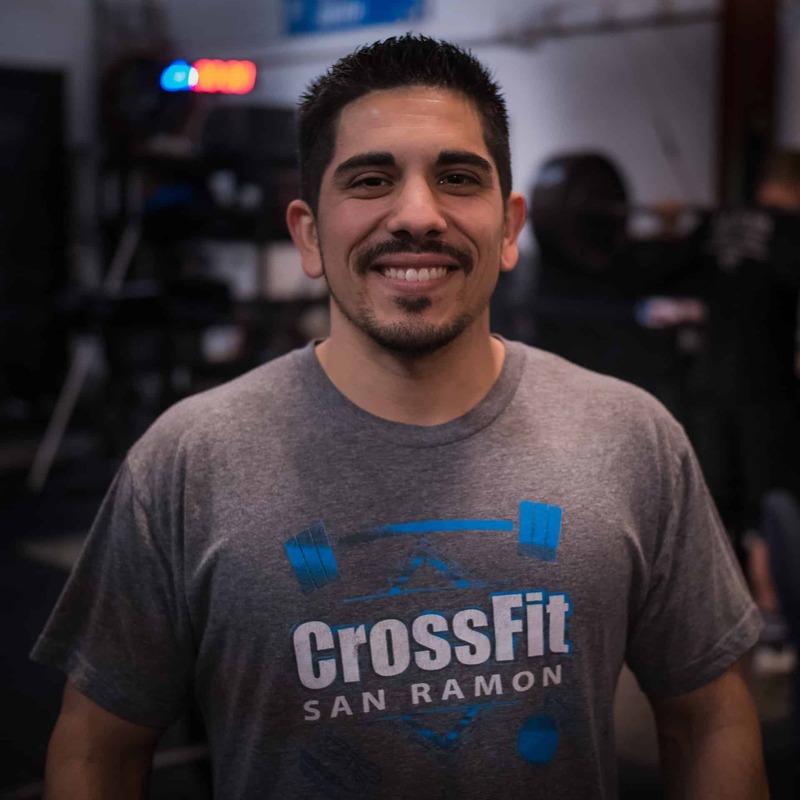 Now, as a Athletic Director and Head Wrestling coach, Ed uses CrossFit to help coach his athletes at June Jordan High in San Francisco. CrossFit Level1 & 2, CrossFit Gymnastics, CrossFit Weightlifting, Endurance, Nutrition Coaching. Jessica has been an athlete her whole life. From doing gymnastics, then playing soccer and softball, she always found a way to stay active. She played soccer from the time she could walk until senior year in high school. Going into her freshmen year in college, she found herself bored going to a regular gym and not being able to challenge herself enough. That’s when she came across Crossfit. She hasn’t looked back since. This helped her stay healthy, in shape, and feel good. She has her Crossfit Level 1 and 2 certification and completed the Crossfit Weightlifting course. She loves pushing people to do their best and helping in the right steps to pursue their goals. She believes hard work and consistency will get you where you want with all things in life. Her goal is to help you get stronger and push past your limits to reach your goals. Olympic weightlifting and CrossFit. 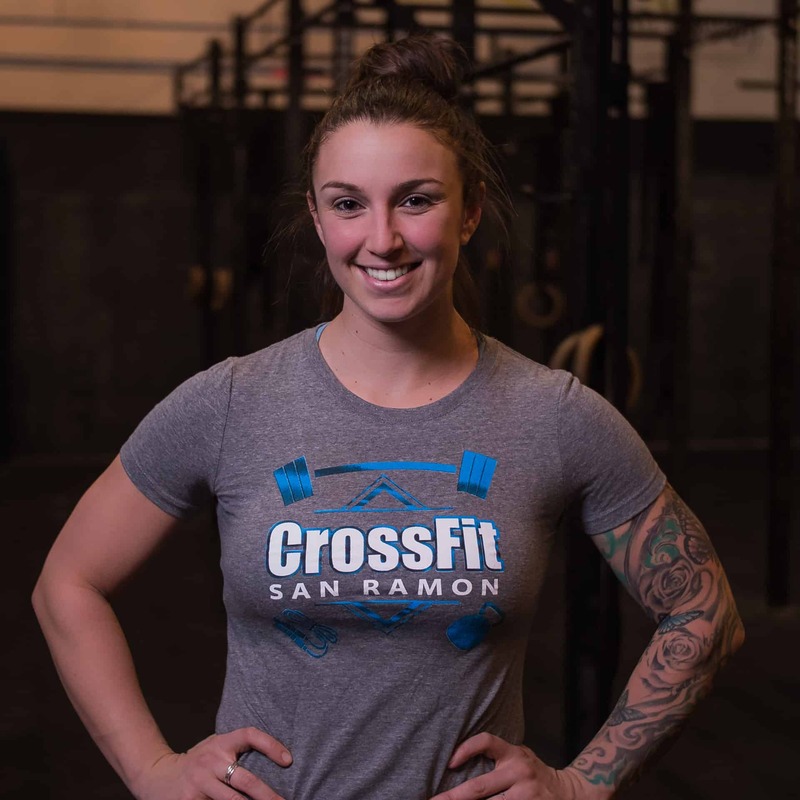 She has competed in several competitions, including CrossFit, Figure and Olympic Weightlifting. Lorraine was encouraged by her coaches and friends to earn her Certified Personal Training credentials when they could see that fitness and helping others is what she loves to do most. Her passion is helping people to reach their fitness goals and empowering them to honor their bodies at whatever their level of fitness is. Her goal is to motivate and enable you to make training a fun and rewarding experience through functional fitness. CrossFit Level 1, USAW Level 1, CrossFit Kids Certified, AFAA Certified Personal Trainer, Certification in Pre & post natal Fitness, Certification in ACSM Exercise Management for persons with Chronic Diseases and Disabilities. Currently working on Functional Medicine Certification. Extensive knowledge in Nutrition, Paleo, AIP, Hormone reset diets for women, liver cleansing for stubborn fat loss. Working through Auto Immune diseases and making food a primary source of health and wellness. 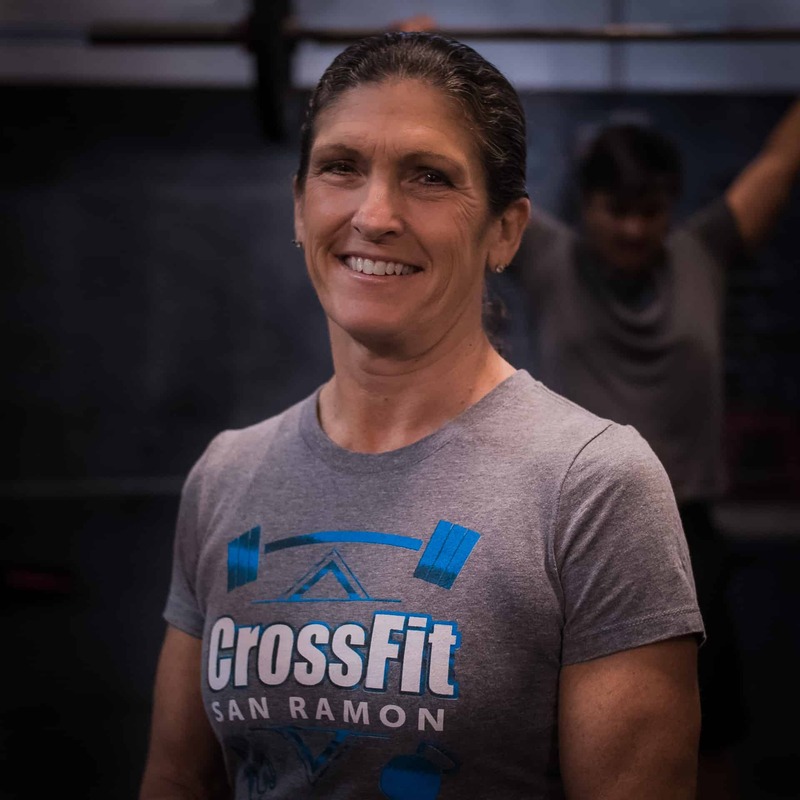 Lori has been a member of CrossFit San Ramon since November 2012. “When I started, I was down to 220# from 235#, I was limited from a back surgery, and scared. I knew I needed a change, to be healthy and live a long life for my daughter. Through CrossFit and nutrition I transformed my health – nearly 100#s lost, thyroid problem healed, asthma gone, inflammation gone, all back pain post surgery is gone.” Lori offers one on one nutrition sessions, Autoimmune nutrition guidance and workouts as well as personal training sessions. “I have been given the tools to obtain the gift of health and wellness, and I love sharing what I know to help others. Life is so much better when you feel good and help others feel their best too! 2017 CrossFit Masters Games Athlete, CrossFit Level 1 (CF-L1) and Level 2. Karen coached Division 1 basketball for over 15 years at the University of California, Berkeley and at San Jose State University. Karen was an All-American basketball player at the University of California, Berkeley and she was inducted to the National High School Sports Hall of Fame as well as the Sac-Joaquin Section Hall of Fame for basketball and softball. 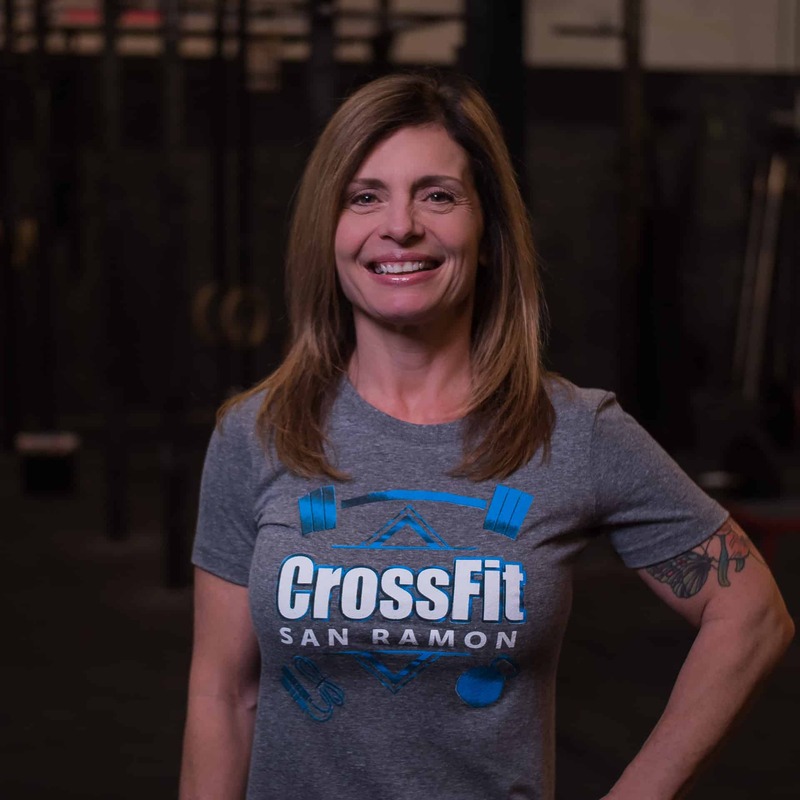 She started CrossFit in 2012 after deciding her workouts were not allowing her to reach her personal fitness goals and it was love at first WOD. 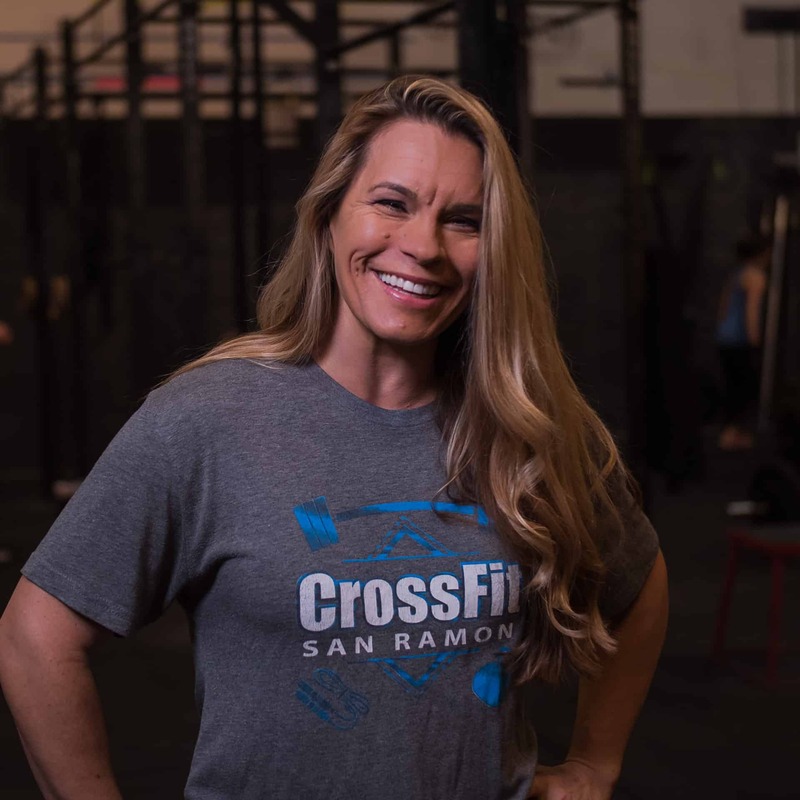 “CrossFit makes me look forward to working out every day because for me it has turned working out into a competitive game which I truly enjoy. 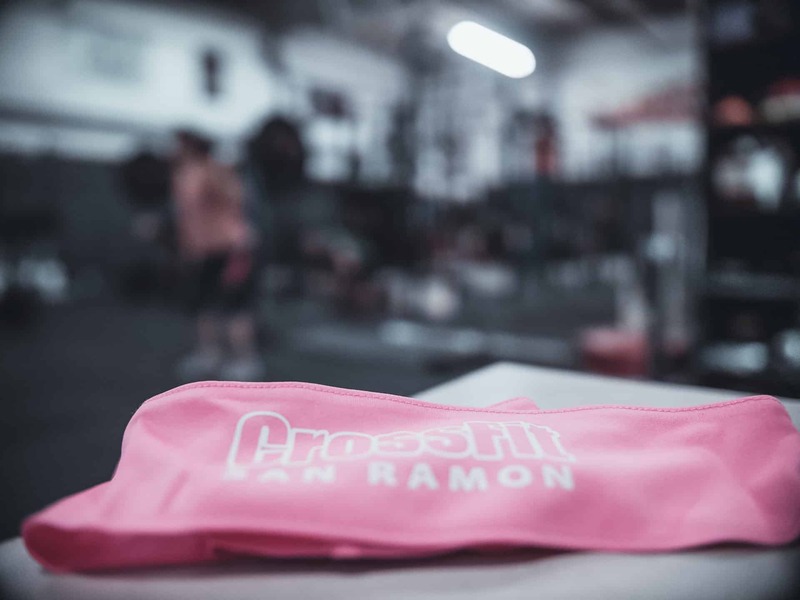 I love the community atmosphere and camaraderie that CrossFit encourages. I always enjoy helping others go past their comfort zone to achieve things they never thought possible.” 1984 University of California, Berkeley (BA) Physical Education, 1990 Master of Arts Degree in Coaching & Administration-San Francisco State University. CrossFit Level 1. I’ve been doing CrossFit for 4 years and it’s been the best fitness journey for me by far. I’ve always been active even when I was younger with a martial arts background and did amateur boxing for 2 years. I love the community and how everyone helps each other evolve not just being fitter but in life as well. At 32 I’m in better shape then I was in my early 20’s and I have CrossFit to thank for that. This year I did my very first Olympic weightlifting comp and it was a great experience! Another great community of people that train hard and love life and just want everyone in the community to be a better version of themselves. Now as a coach I hope to help others with there journey and make this community even better and further my education to be the best coach,husband,father,athlete that I can be.